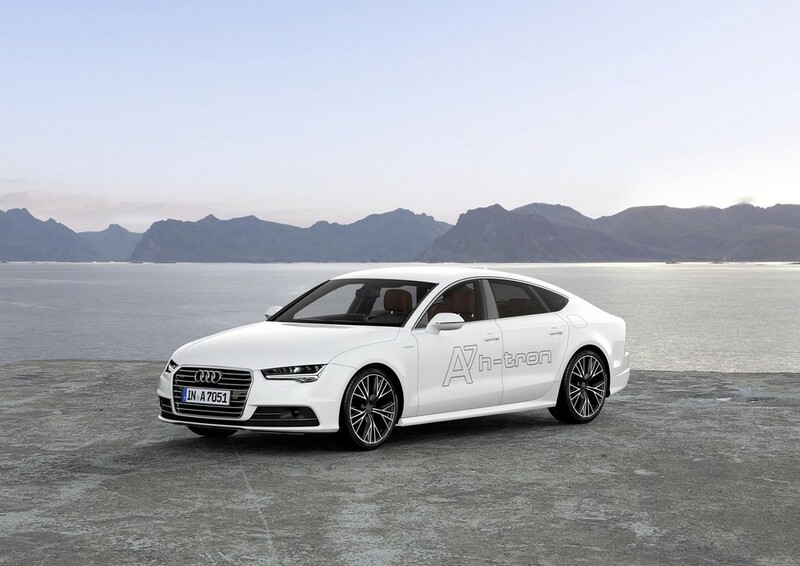 The A7 Sportback h-tron quattro series of Audi is debuted at Los Angeles auto show in 2014. it is made of the most substantial and sporty electric drive whose energy comes from its fuel cell. 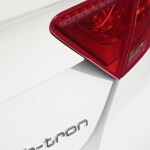 It is an intelligent fusion of hybrid battery and an extra electric motor in its rear. For is powerful engine this car can covers 310.7 miles of road (500kilo meters) on only one tank of fuel and its exhaust discharges nothing than only a few drops of water. 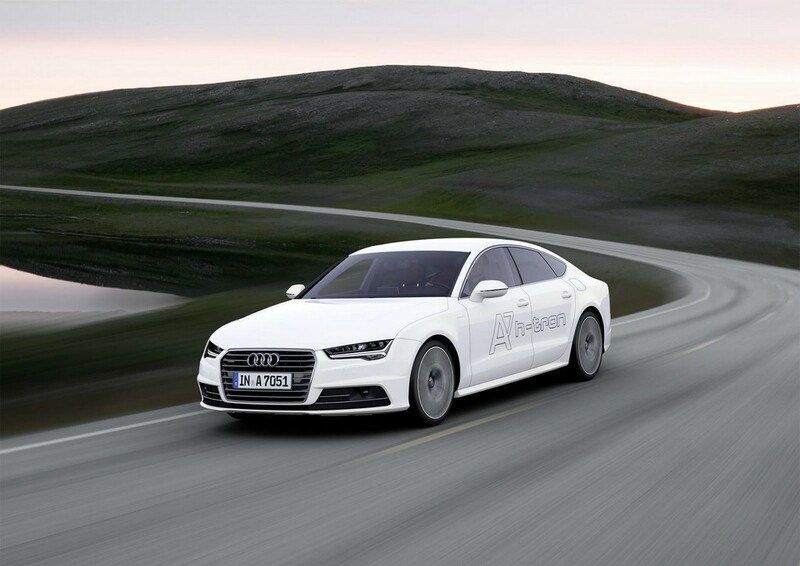 Its drive layout creates Audi A7 Sportback h-tron quattro with 170 kilowatts of emission free power production. The front and rear axels have no mechanical connections in between. 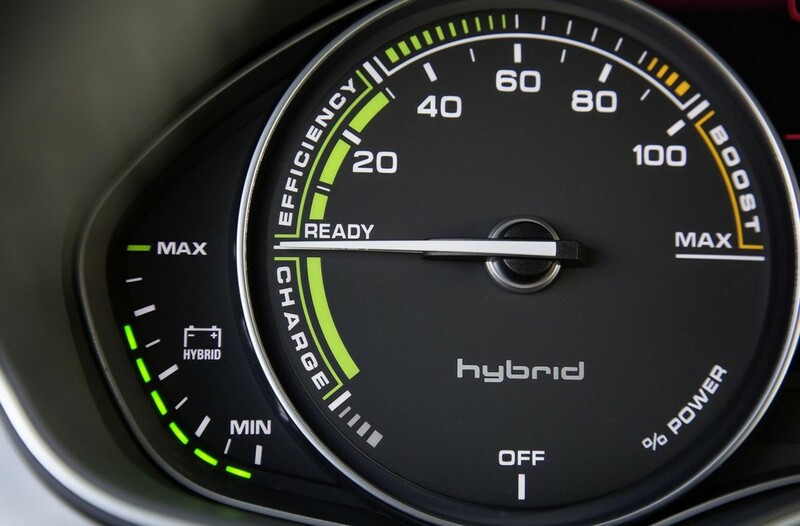 For its fuel cell mode, the car can cover 62.1 miles (100 km) with only 2.2lb (one kilogram) of hydrogen. This energy content is parallel to 3.7 liters of gasoline. 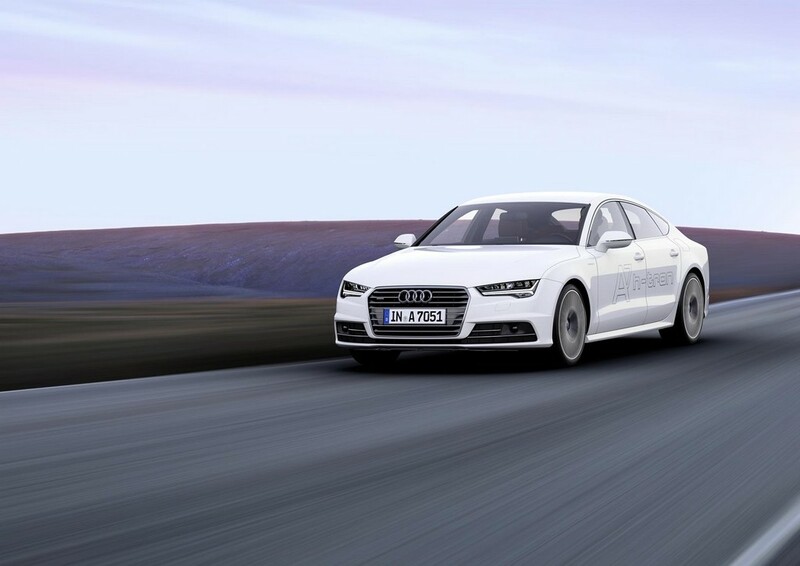 As this quattro’s tank capacity it can cover more than 500 km easily.The sprint of Audi A7 Sportback h-tron quattro from 0 to 100 km/hour in only 7.9 seconds and on to high speed of 180 km/hour. 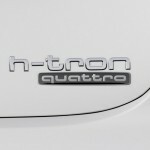 In the name ‘h-tron’, the letter ‘h’ represents the chemical factor, that is hydrogen. 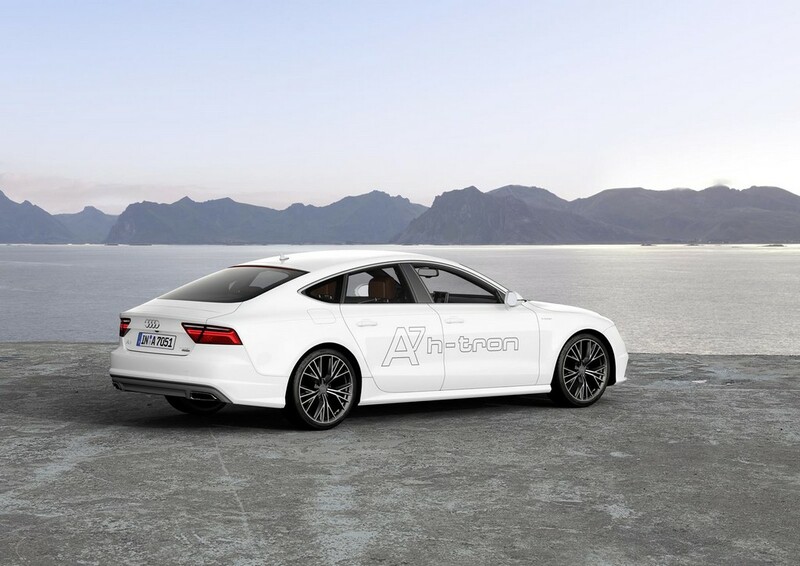 In outer terms, the technology manifests that Audi has brought along this A7 Sportback to Los Angeles Auto show mainly exhibit the production models. 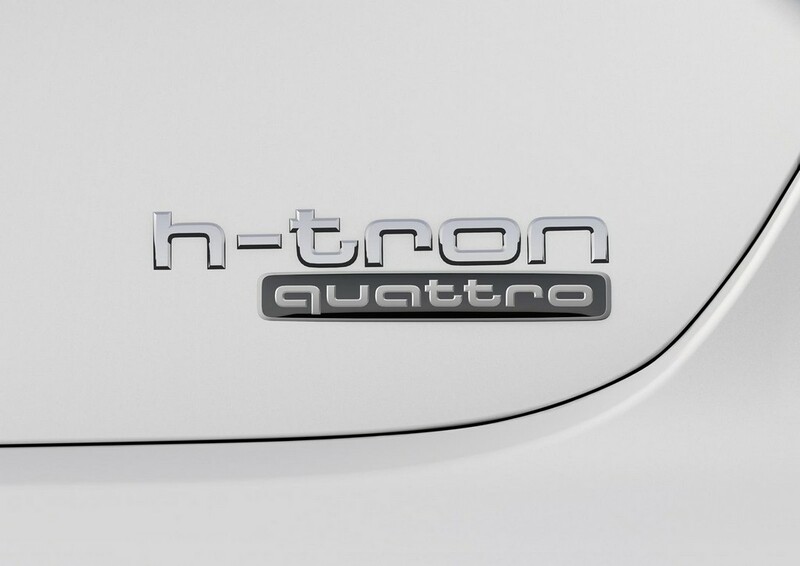 After unveiling the name of h-tron signet, the car now comes its place with other models of Audi with alternative drive systems like, g-tron and e-tron. 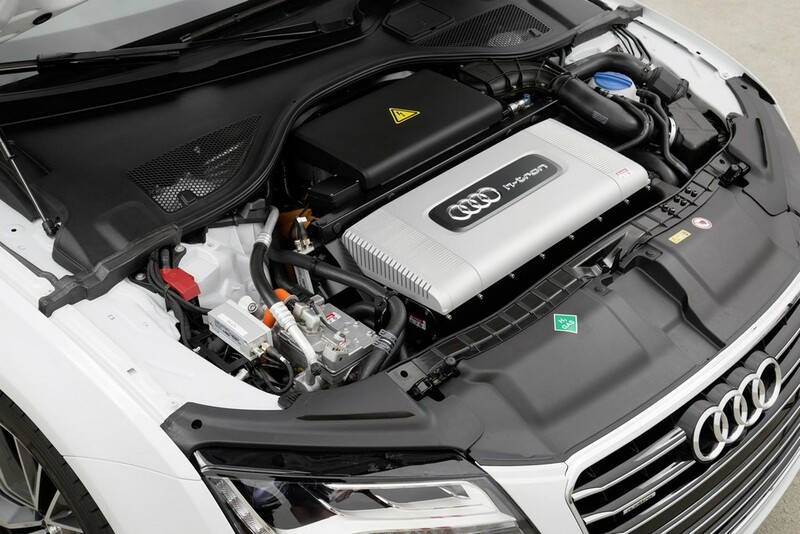 The most important differences are resting under the hood of this A7 Sportback. 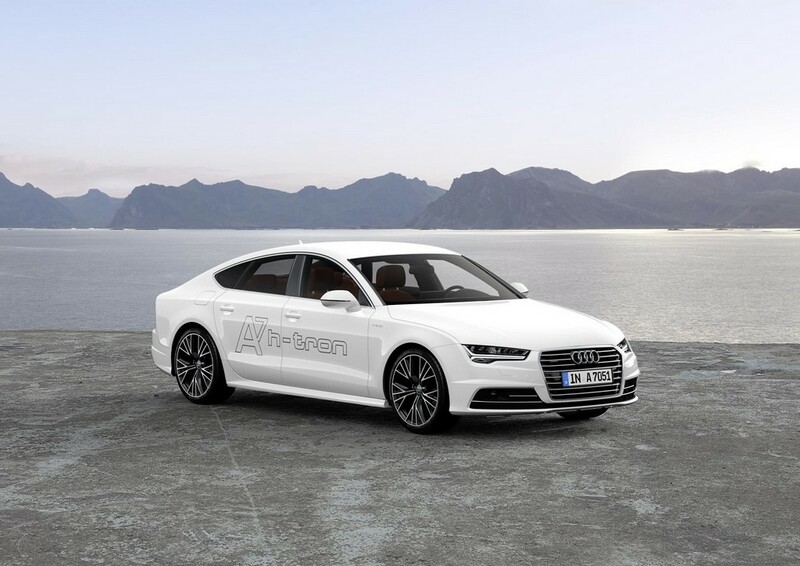 The fuel cell of the Audi Technology indicator is positioned at the front and imitating the the typical A7 Sportback with kindling engine. The exhaust system is made of weight saving plastic material and has to handle water vapor. More than 300 individual cells can bu comprised by the fuel cell which together create a stack. Polymer membrane is the key material for this each individual cells. Both sides of membrane there is a catalyst of platinum based. The hydrogen is broken down into electrons and protons after it is supplied to the anode. Through the membrane the protons are migrated to the cathode and reacts with the oxygen that presents in air to create water vapor. At the same time the electrical power is supplied by the electron. The voltage of each cell is 0.6 to 0.8 volt. And the whole fuel cell manages in thr voltage range of 230- 360 volts. The main auxiliary is an assemble many crucial things. There is a turbocharger which forces the air into the cells. To return the unused hydrogen, there is a coolant pump and a re circulation fan which can increase its efficiency. All these parts have electric drive of high volt and they are powered by those fuel cells. For cooling of the fuel cells there is a distinct cooling circuit. Inside the cabin there are also a heat ex-changer, and auxiliary heating elements that controls a pleasant temperature. 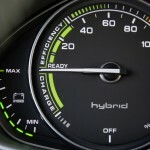 The unique feature of A7 Sportback is, it is from plug in hybrid concept. The lithium-ion high performance battery can be recharged from the leading power socket. The battery can store the energy cells that recovered from brake application and thus supply enough power for boosting a full load. There is DC tri- port converter to operate the each voltage level. 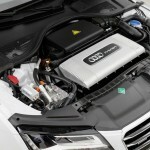 This zero emission-ed new production of Audi will travel globally by using the renewable hydreogen fuel. 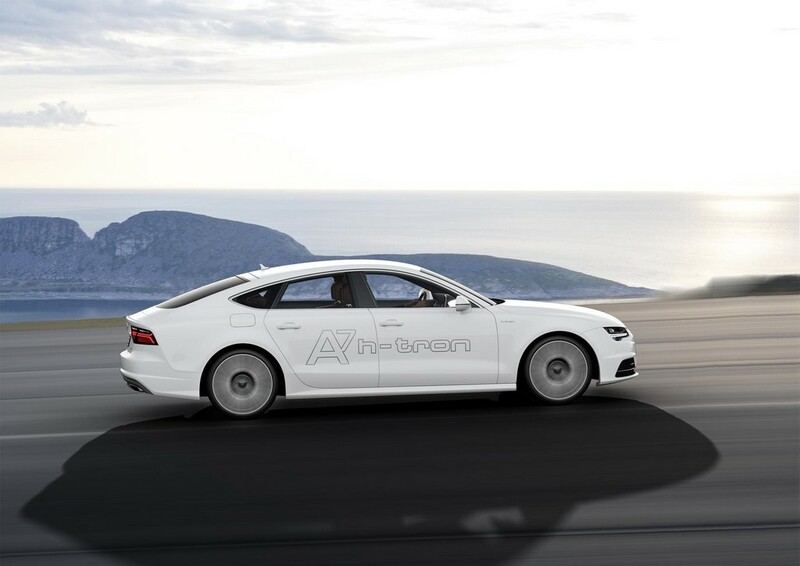 According to Prof. Dr. Ulrich Hackenberg, who is an honorable member of the Audi’s Board of Management for Technical Development, this A7 Sportback h-tron quattro is a real audi with sportiness and efficiency intact. 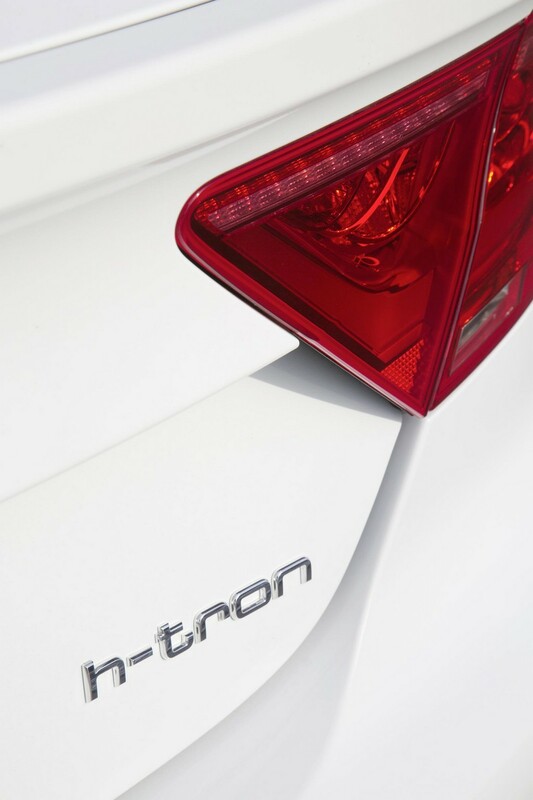 The two electric motors which drive all the four wheels and the h-torn concept proved that audi has mastered on fuel cell technology.